This statement is puzzling to many. Not least, of course, for the reason that it would seem that Paul is in some way denying the sufficiency of the cross. Of course, we know that this could not be possible. There are too many other statements in Paul’s letters where he declares the completeness of Christ’s work (“the is no condemnation for those in Christ!”). So, what then does Paul mean by saying that in his sufferings, he is “filling what is lacking”? Before we answer this, we must recognize that suffering is an important aspect of Paul’s theology and practice: For instance, in Romans, Paul makes several statements about suffering: He rejoices in suffering (Romans 5:3), Christians are heirs with Christ only if they suffer with him (8:17-18), Paul wished he could be accursed for his brethren (9:1-5). For his sake I have suffered the loss of all things and count them as rubbish, in order that I may gain Christ and be found in him, not having a righteousness of my own that comes from the law, but that which comes through faith in Christ, the righteousness from God that depends on faith— that I may know him and the power of his resurrection, and may share his sufferings, becoming like him in his death, that by any means possible I may attain the resurrection from the dead. What are we to make of these strange texts? It appears that for Paul, to be a Christian means principally to participate in Christ. To participate in his death. To participate in his resurrection. Think now of baptism, which signifies the believer dying and rising with Chris in salvation. The believer is united to Christ by faith, dies to sin and rises to new life. Salvation for Paul (justification, sanctification, and glorification) is union with Christ, participation in the great theo-drama of the cross. And for Paul, part of this union involved his present sufferings. The persecution. The beatings. The shipwrecks. The hate and mockery of the Jews. Paul was participating in the suffering of Christ through his own suffering. The cross was becoming real within him. He was being more conformed into the image of Christ (2 Cor 3:18). Many see the cross as an exemption from suffering: Paul saw the cross as something to participate in! And not just the cross. But the resurrection too. This was Paul’s great hope, that all of the suffering he endured would inevitably lead one day to glory! This gives much deeper meaning to Christ’s call to “pick up your cross”. Discipleship is forming Christ within. So when Paul says that he “is filling what is lacking”, he means that he is uniting his suffering to Christ’s. He is appropriating Christ’s death within himself personally. That which was accomplished 2,000 years ago was being made real then and there in Paul’s flesh. And so suffering was, for Paul, an opportunity, not a punishment. It was an opportunity to be conformed more and more to Christ’s death, to the image of Christ. It was a way to make Christ’s death his! What’s so important about the resurrection? What was the significance of Jesus’ resurrection? To answer this question, we can’t simply look to the fact of the resurrection. We must also look to the cross. 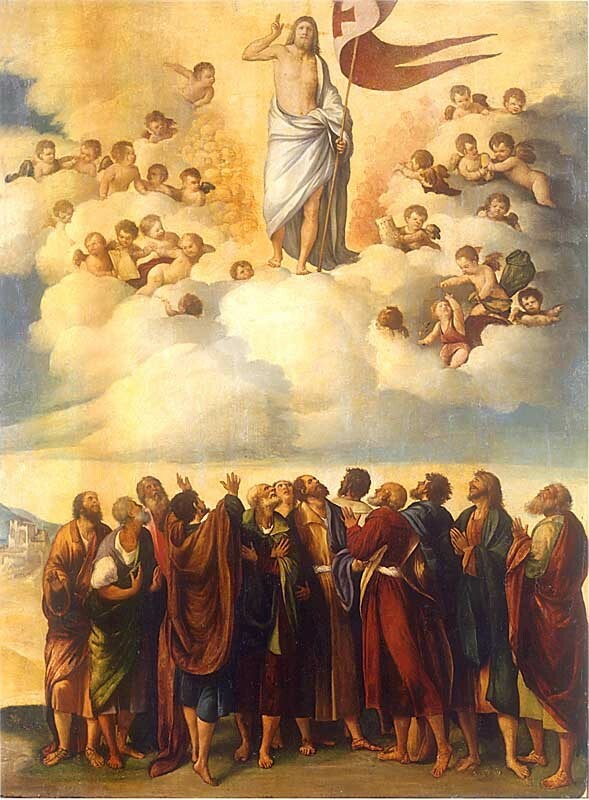 We must also look to the ascension. We must also look to Christ’s enthronement at the Father’s right hand. 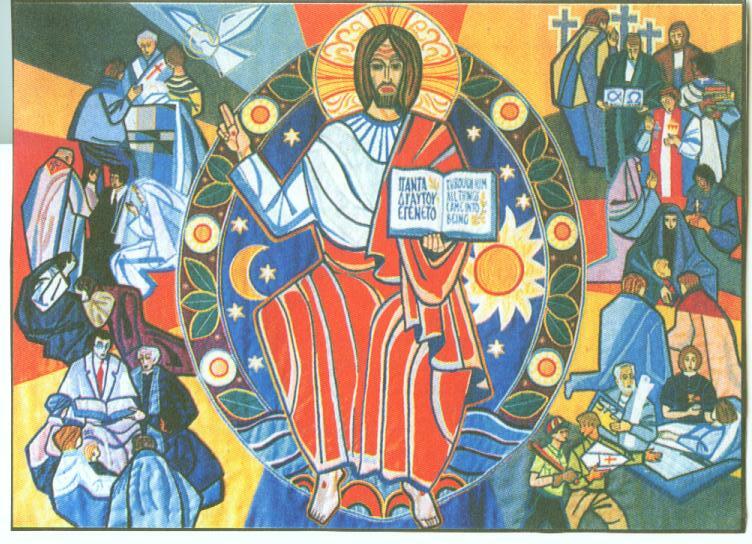 The reason is because all throughout the NT, when the resurrection is mentioned, it is never mentioned alone; it almost always connected to God the Father raising Jesus, and seating him at his right hand. And so, biblically, when we talk about the resurrection, we aren’t just talking about the resurrection. We are looking at the cross, the ascension and enthronement. For instance, in 1 Peter 1:21, Peter says that God the Father “raised Him (Jesus) from the dead and gave Him glory, so that your faith and hope are in God”. 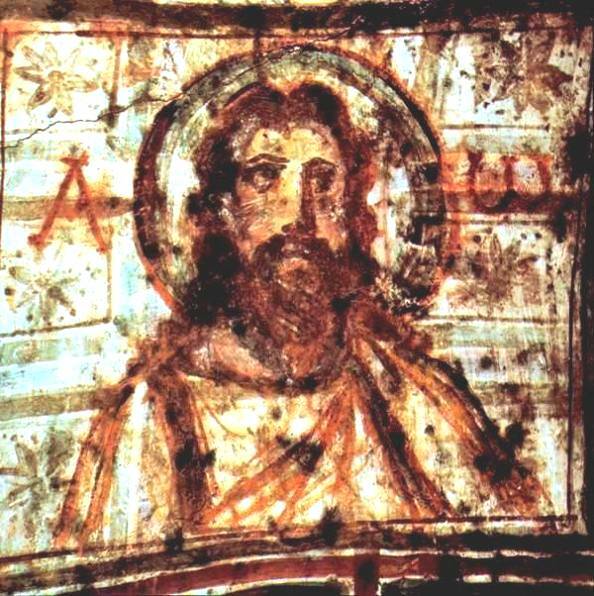 So, God the Father raised Jesus and gave him glory (referring to him being seated at his right hand). Paul says in Ephesians that God the Father brought about our salvation when he “raised [Christ] from the dead and seated Him at His right hand in the heavenly places” (Eph 1:20). Paul also says in Philippians 2:8-9, that Jesus, “being found in human form,… humbled himself by becoming obedient to the point of death, even death on a cross. Therefore God has highly exalted him and bestowed on him the name that is above every name”. Paul also brings in this theme in Romans 8:34, saying, “it is Christ Jesus is He who died, yes, rather who was raised, who is at the right hand of God, who also intercedes for us”. So Jesus humbled himself to death; but he was raised by his Father, and given glory at his right hand because of that death. OK, so this is the resurrection put in context; but what does all this mean? OK, so there is a lot that Sheed says here. First, Sheed says that when God the Father raised Jesus, what it means firstly is that he accepted Christ’s sacrifice as sufficient for atonement. Whereas Cain’s offering to God was not accepted, Jesus’ sacrifice on behalf of fallen humanity was accepted. And so God raised Jesus, and in so doing, he showed to all humanity, in an “external” fashion, visible to the eyes, that Jesus’ sacrifice for us was “sufficient”, acceptable to God; that this was the sacrifice to atone. In other words, God stated “out loud” that this offering was enough for our sin. But also, in raising Jesus’ human nature, God was not only accepting the sacrifice — He was also accepting humanity itself back into the Godhead. Put differently, as Jesus offered humanity to God in the cross, God accepted and raised humanity back to himself in glory. He was once again glorifying and immortalizing the humanity that had fallen from the divine life it once experienced in Eden. And so Jesus’ sacrifice is accepted; but accepted, and then brought back to glory — and in being glorified, Christ is raising all of humanity from its fallen state. As Sheed says, “humanity, offered to God in Christ the Victim, is now forever at the right hand of the Father”. Principally, humanity, with its sins expiated, may be brought back into the life of the Trinity through Jesus. This is why Paul says in 1 Corinthians 15:22, “For as in Adam all die, so also in Christ shall all be made alive”. Because Christ was glorified, humanity in Christ may be glorified. The resurrection, in other words, changes the fallen state of humanity. The resurrection means that atonement has been accepted, and that glory is to come! What does it mean that Jesus is the head of the church? What does it mean that Jesus is the head of the church? This concept of Jesus being over the church is mentioned numerous times in the New Testament, both implicitly and explicitly. In Colossians 1, Paul calls Jesus the head of the body, the beginning, and the first born from the dead, with the end result of him being preeminent in all things (Col 1:18). Jesus is the head, becoming the center of all things concerning God and his church. Paul mentions Christ’s headship in Ephesians 5 as well; and he compares Christ’s headship over the church to a husbands relationship to his wife, telling us that Christ’s headship is one of nourishment and sanctification toward his church; similarly, husbands should care for and nourish their own wives (Eph 5:23-29). But what is Paul trying to convey here? When Paul speaks of headship, he is talking primarily about representation. Biblically, what we must understand is that God deals with people by way of representatives. Whatever happens to that representative happens to those under him. This principle goes throughout the entire history of the scriptures. For instance, when God created Adam, he gave him certain responsibilities. Adam was to cultivate the garden that God had given him, and to be fruitful and multiply (Gen 1:28). To Adam alone was given this responsibility — and Eve was given as a helper to assist him in accomplishing his God-given tasks. Also, God prohibited Adam from certain things. He was not to eat of the tree of the knowledge of good and evil (Gen 2:17). If he were to eat of it, he would surely die. Of course, we find that Adam and his wife did eat of the tree. But it’s interesting just how God punishes Adam and Eve for their disobedience. First, God holds Adam alone responsible, not Eve (Gen 3:9-10). Second, because of Adam’s failure, God punishes all of humanity, not just the pair. Paul later picks up on this concept, and tells us that we are sinful because of one man’s sin (Rom 5:12). What this indicates is that Adam was a God-ordained representative for all humanity. If he would have been obedient, we would have all benefitted. But because he chose to disobey, we all fell into sin. From Adam and on, the principle of headship as representation can be traced from Old Testament to New. God chose Noah as the head of a new humanity (Gen 6-9), Abraham as the head of a new nation Israel (Gen 12-22), Moses as the head of the Mosaic Economy (Exod 19-20), and David as God’s eternal kingly dynasty (2 Sam 7). What is especially interesting when reading about the institution of the Mosaic Law, we find that the people of Israel waited at the bottom of Mount Sinai as Moses went and spoke before God on their behalf (Exod 19:1-3). And God interacted with the people of Israel through Moses alone. In that sense, Israel went in Moses into God’s presence. Paul picks up on this in 1 Corinthians 10, telling us that Israel was baptized into Moses in the Red Sea (1 Cor 10:2). What an interesting way to articulate the concept! And when we arrive at the New Testament, we find out that all of these representative heads were merely pointing to the true cosmic representative, Christ. Matthew describes Christ becoming the true Moses who teaches God’s people from the mountain (Mt 5-7). Matthew also presents Christ as the true Israel, God’s true righteous servant (Mt 2:13-4). Paul calls Christ the last Adam, making him the head of a new humanity (1 Cor 15:22). He also calls Christ the true seed of Abraham who blesses the nations through his life and death (Gal 3:16). And, Luke presents Jesus as the true Davidic king whose kingdom will last forever (Lk 1:32-33). In this way, Jesus is the ultimate head who realizes all of God’s redemptive purposes. He realizes Adam’s mission, Israel’s purpose, and David’s kingship. In this way, Jesus is the fountain of all things. So when we call Christ our head, what we mean is that he represents us before God. This is why Paul can say of himself: “I have been crucified with Christ. It is no longer I who live, but Christ who lives in me. And the life I now live in the flesh I live by faith in the Son of God, who loved me and gave himself for me” (Gal 2:20). If we are in Christ, this means that the death that Jesus died to sin, we also died. It means that the life he now has is our life (Col 3:1). It means that his reign is our reign (1 Cor 3:21). If Christ is your head, you are hidden in him, seated at the right hand of God, clothed in his righteousness, dead to sin, and alive to God (Rom 6, Col 3:1-4). Christ is our representative. This is what headship means. In Christ, what happens to Jesus happens to you! This is why Paul tells us that Christ’s headship means that he is preeminent in all things (Col 1:18). It is what Paul means when he tells us that our chosenness is in Jesus (Eph 1:3-10). We have been chosen in Christ before the ages began. And the result is that Christ is our representative, and all things are be summed up in Him alone (Eph 1:10).